(Beyond Pesticides, April 4, 2019) Following on its verdict that the herbicide Roundup caused plaintiff Edwin Hardeman’s non-Hodgkin lymphoma (NHL), the jury on March 27 issued an award of $80 million—$5 million in compensatory damages and $75 million in punitive damages—for improper labeling and negligence on the part of the manufacturer and defendant, Monsanto. The trial, the first federal Roundup cancer trial, marks the first of a multidistrict litigation against Monsanto, with more than 1,600 similar lawsuits pending in San Francisco’s federal court. The jury’s second verdict affirmed Mr. Hardeman’s allegations that Roundup’s design is defective and lacks sufficient warnings, and that Monsanto was negligent by not using reasonable care to warn about Roundup’s NHL risk. The Edwin Hardeman v. Monsanto Co. jury verdict marks the second multi-million dollar award to be granted in a landmark case against Bayer/Monsanto within the past year. Last August in San Francisco Superior Court, California groundskeeper Dewayne “Lee” Johnson was awarded $39 million in compensatory damages, and $250 million in punitive damages in the first case that linked his NHL to Monsanto’s glyphosate/Roundup. In October, the judge in the case upheld the verdict, but reduced the award to $78 million. Mr. Hardeman is represented by lawyers Aimee Wagstaff of Andrus Wagstaff and Jennifer Moore of Moore Law Group, and the case is presided by Judge Chhabria. Edwin Hardeman and his wife began using Roundup in the 1980s to treat their 56-acre Sonoma County property, an area that had such prolific poison oak that the township used to hold an annual poison oak festival, said Mr. Hardeman. As Mr. Hardeman testified, he and his wife are “do-it-yourselfers.” After hiring an applicator once, the couple decided to buy Roundup and a pump-up sprayer off the shelf and spray the product themselves. Mr. Hardeman mixed the formulation himself, using Roundup concentrate available at their local hardware store. For 25 years, from May to November, Mr. Hardeman would mix and spray Roundup as a regular part of property maintenance. On Christmas morning of 2014, as he was making preparations for his sister’s funeral, Mr. Hardeman noticed a lump on his neck. By February of 2015, he was diagnosed with B-cell NHL. Last month, in the first phase of the trial, the jury delivered a unanimous verdict that Monsanto’s Roundup herbicide significantly contributed to Mr. Hardeman’s NHL. Since EPA’s contentious classification of glyphosate as a Group E carcinogen—or “evidence of non-carcinogenicity for humans,” after reversing its original Group C, possible carcinogen, rating in 1985, the International Agency for Research on Cancer (IARC) in 2015 classified glyphosate as a Group 2A “probable” carcinogen, which means that the chemical is probably carcinogenic to humans based on sufficient evidence of carcinogenicity in experimental animals. The most recent studies and a 2019 meta-analysis have added to a wealth of literature confirming a compelling link between glyphosate and NHL. As of July 7, 2017, glyphosate is listed as a cancer-causing chemical under California’s Safe Drinking Water and Toxic Enforcement Act of 1986 (Proposition 65). 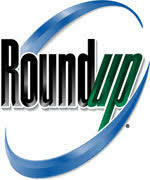 This requires cancer warning labels be placed on end-use glyphosate products in California. Researchers have determined that the “inert” added ingredients in glyphosate products, especially polyethoxylated tallow amine or POEA — a surfactant commonly used in glyphosate and other herbicidal products — are even more toxic than glyphosate itself. Critically, full formulation Roundup products, as with all other whole formulation pesticide products registered by EPA, have not been assessed for carcinogenicity or other chronic effects. This is especially concerning given the fact that several peer-reviewed studies have found Roundup formulations to be an average of 124 times and up to 357 times more toxic than glyphosate alone (Mesnage et al. 2014; Mesnage et al. 2012; Benachour and Seralini 2009; Richard et al. 2005). The lack of testing and regulation of whole formulations is in fact a much broader issue, representing systemic failure by chemical companies and regulators to ensure the safety of actual pesticide products, as they are commonly used. Pesticide users are exposed to whole formulations, whole tank mixtures, and whole pesticide combinations, not just active ingredients (those that the manufacturer claims are the only ingredients that attack the target pest). It is the whole formulation that makes the poison, and that whole formulation must be considered when filing for damages or pushing for adequate regulation. As public health and environmental advocates attest, the fight is broader than any single pesticide. Beyond Pesticides holds the position that both chemical producers and regulators must be held accountable for the damage that widespread, corruptly regulated, toxic pesticides wreak on public health and the environment. Take action and tell your Congressional delegation that EPA must assess the real risks of pesticide use, not rely on false representations of risk based on company-sponsored, scientifically questionable studies of isolated active ingredients. Stay abreast of legal, regulatory, and scientific pesticide news by following the Beyond Pesticides Daily News Blog. Sources: Baum Hedlund Aristei Goldman PC, Democracy Now! This entry was posted on Wednesday, April 3rd, 2019 at 12:00 am	and is filed under Bayer, Glyphosate, Monsanto, non-Hodgkin's Lymphoma, Uncategorized. You can follow any responses to this entry through the RSS 2.0 feed. You can skip to the end and leave a response. Pinging is currently not allowed.